What’s “The Weekend Project?” I’m glad you asked. The Weekend Project is a collaborative effort where neighborhood associations, neighbors, business owners, houses of worship and organizations within each neighborhood in South Bend come together to work on at least one property in their neighborhood. Won’t that be amazing? To have everyone out in their neighborhoods on the same weekend, making South Bend a better place. I encourage you to find time this week to talk to your neighbors about this idea. The more volunteers involved, the larger the impact. Also, share this blog with your neighborhood association. Let’s make this inaugural event a huge success. Please post other ideas here. Then stay in touch as we’ll continue to make announcements as we move forward. Entry filed under: Build a Better South Bend, Vacant & Abandoned Homes. 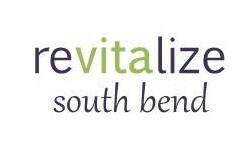 Tags: graffiti, neighbor, neighborhood association, neighbors helping neighbors, property help, revitalize south bend, South Bend, vacant and abandoned homes, weekend project. We’ll be out, asking around McKinley Primary! Thanks. Let me know how your neighbors respond and what you feel is needed to make it happen in your neighborhood.